I’m happily married to my best friend, Paul and a lucky mom to Kyle. I’m a true believer of hard work. I stumbled upon all sorts of challenges that made me who I am today. My life experiences and my family inspires me to always be at my best. This blog was originally meant to be a repository of my random experiences as a working mom. Questions, however, came pouring in. So, I decided to turn this into a place where moms can exchange tips, advice, ideas, and experiences that answer questions like “How do you juggle career and motherhood and still look great?”; I don’t talk much about my personal life nor am I comfortable (nor will I ever be comfortable) talking about it. But thinking of the ways I can inspire, empower, and learn from other moms or women who share the same interest or sentiment as they wander life more than just being a mom, all these brought to sundry thoughts that needed sharing. That’s how I conceived the idea that’s Wander Mom. I love the fact that I have a crazy daily calendar and that I wear different hats as a mom, entrepreneur, and a woman who simply take life as it is. Wander Mom is my avenue for sharing my experiences with you. As a first-time mom, I’m definitely still learning the ropes and shall I say, experimenting at the stage. Every new experience and discovery with my little man, Kyle is a source of joy. I would love to share them with you. Your comments are most welcome as I would also be glad to learn from your stories as well. Motherhood is forever and it’s a learning process I welcome with my whole heart. I don’t follow traditional rules nor do I base my parenting on books. I learn as I go along and as I talk to fellow mothers. I’m very excited and thrilled to be able to explore the joys and aches of motherhood with you. 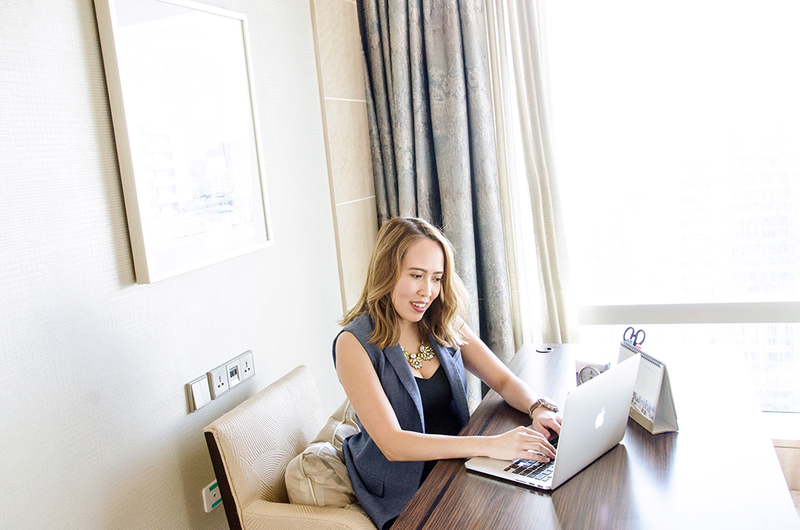 As a self-made, hard-working career woman, I spent years working in the corporate world. I was exposed to different fields: sales, account management, human resource, and operations. By luck and a sprinkle of courage, I started my own company at the tender age of 29, a dream I intended to make happen when I reach 35. I embraced diverse challenges to get to where I am today. The mix of good and bad experiences made me better at decision-making. My revelations as a woman-on-the-go taught me that we are capable of doing so much more than we thought we could. I’m sharing those discoveries with you in the hopes of empowering not only moms but women in general to find that work-life balance we so deserve. Apart from being a working mom, I love being in the know about fashion, lifestyle trends, travels, and happy things. So, please expect this blog to be the whole enchilada of being a woman, a mom, and a business person.